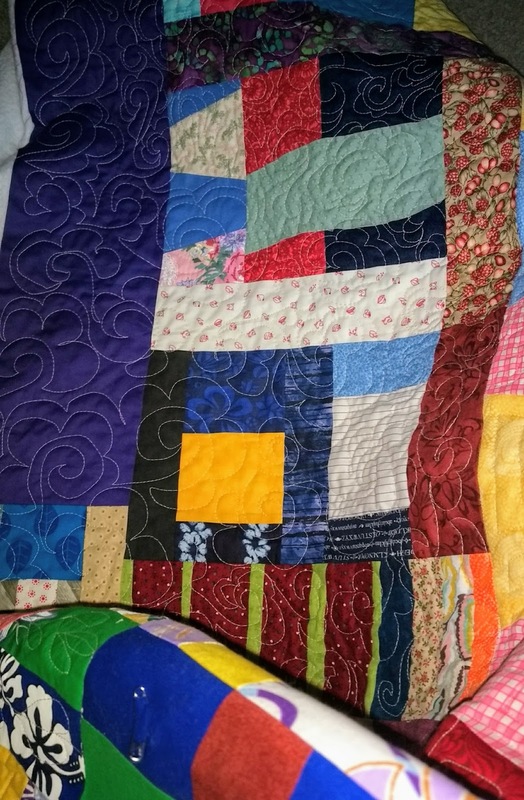 A few days ago, I pulled out a UFO that was already layered and pinned and started quilting it. This is being done in small manageable chunks of time. I am playing with lots of quilting designs and I assure you that this quilt would never win an award for the quilting on it. About 2/3rds of it is quilted at this point. The designs are changing randomly for sections - although some sections are joined by larger quilting motifs. This picture shows one of the piecing bits that is in the borders. It allows the piecing to "run off the edge of the canvas." 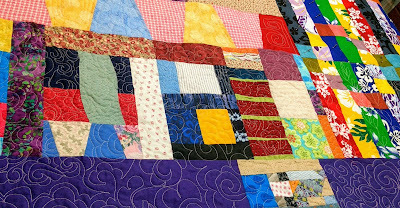 This picture shows part of the unquilted but pinned quilt. 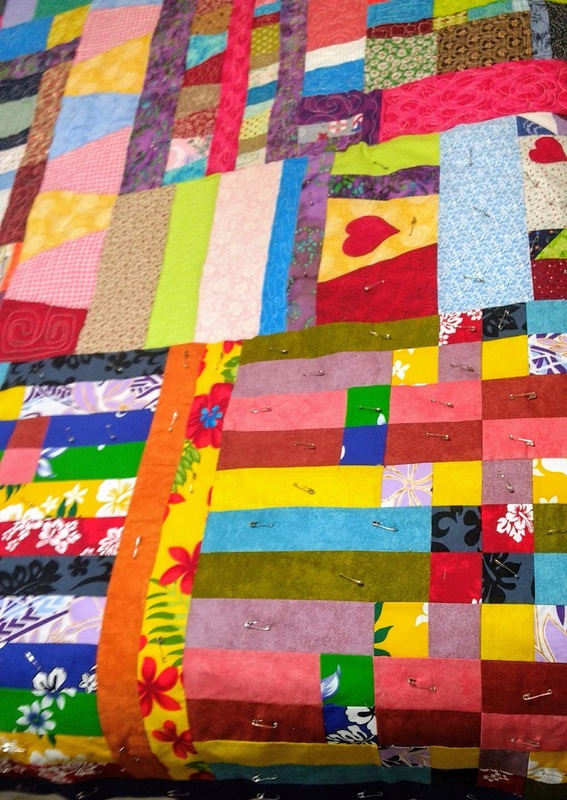 I love mixing near solids like these Connecting Threads Quilter's Candy Prints with the prints. 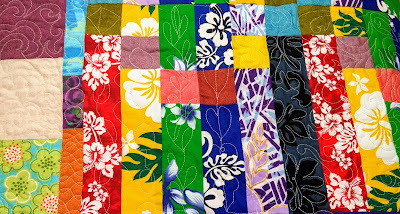 These prints are Samoan fabrics that I got from Barb years ago when she was living in American Samoa. She is now an Island Batiks Ambassador - and has many fun and delightful patterns on Craftsy. So if you are missing me for a few days - I may be free motion quilting away on this quilt. It would win my FMQ award! I love your free motion....I need to learn how to do that...I remember you doing a post care to refresh my memory? Your FMQ looks good! Practice has been going on I see. I work out at home and keep my spirits up and weight down. I use workout videos by JessicaSmithTV. She is an excellent trainer and gives lots of coaching, the videos are free and a wide variety of lengths, styles etc. I highly recommend her.